Here is a collection of the rarest Fortnite skins. Some might say these are the best Fortnite skins, considering how rare they are. Some of these skins are unobtainable at this point in the game, and others have not surfaced in months. Real bummer, right? Keep in mind, though, that any of these skins could always rear their heads and return to the game. Which one of these are you lucky enough to have? 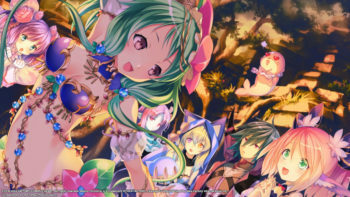 This post was updated on October 2018! The Sgt. Green Clover was released as on St Patrick’s Day and was only available for a limited time afterwards. This skin was 800 V-Bucks in the Item Shop and is now one of the rarest Fortnite skins you can get. 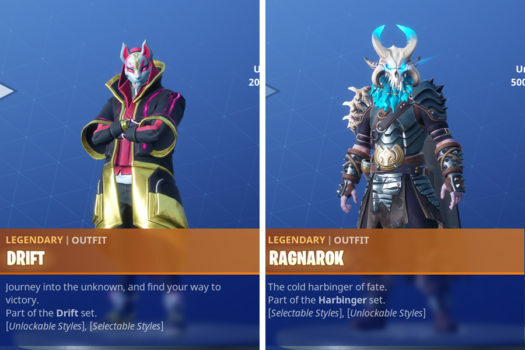 The Ragnarok skin is the current Tier 100 skin for the Season 5 Battle Pass. 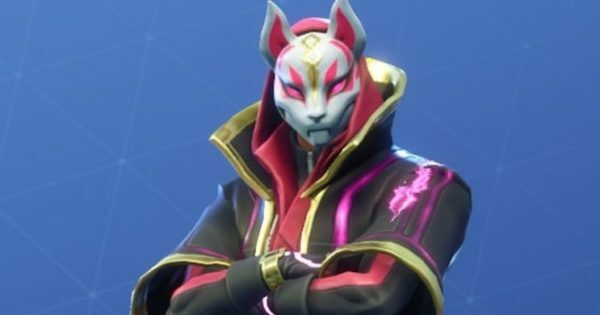 Similar to Drift this skin on its own is not rare, but this one requires 500,000 experience to collect the full set. A player with a full Ragnarok set is not to be messed with, and it’s one of the best skins you can get in the game. The Drift skin on its own is not rare since anyone who plays today can own it by purchasing the Battle Pass, however, to get the full skin players must accumulate 200,000 experience. This is no easy feat and currently a rare find among players of the game. The Royale Bomber is a highly coveted skin by the community and rightfully so. Currently the only way to obtain this skin is through the PlayStation 4 bundle that has only been confirmed for Europe. No word on a North American release or if this skin will be available in the Item Shop. 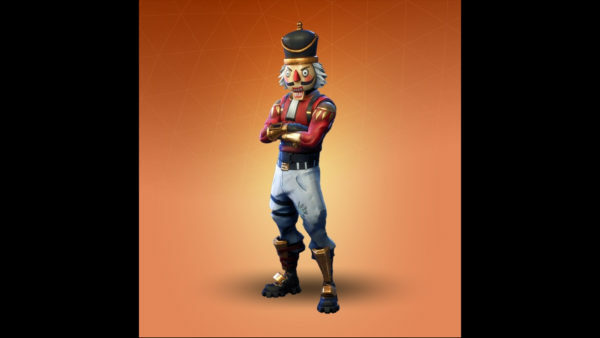 Crackshot was only available during December 2017 through January 2018 as part of the Holiday event. This makes it an extremely sought after skin. It has yet to return to the game, and no word has been given if it ever will. The Black Knight skin was a reward for completing the Season 2 Battle Pass. 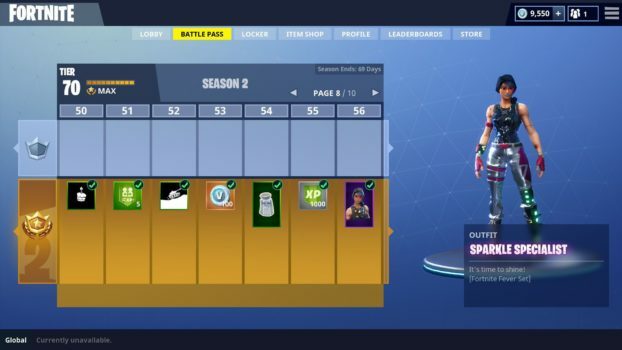 Not only is this skin never returning, but it was extremely difficult to obtain, because Weekly Challenges were not in Season 2, which made gaining Battle Pass Tiers much more tedious. Skull Trooper was part of the Halloween event in 2017, and has not been seen in the shop since. It returned in 2018, making it less rare, but those who owned the original Skull Trooper skin from 2017 now have a purple glow. The Purple Skull Trooper is now one of the rarest Fortnite skins you can get your hands on. The Raven is a shop exclusive skin that was extremely popular among players when it first arrived a few months ago. Since it’s first appearance it has only been in the shop one other time, and Epic has not said when the next time this elusive skin will make another appearance. Blue Squire is another Season 2 skin that was given to players for buying the Battle Pass. While it just required the purchase of the Battle pass this skin is no longer available moving forward. The Leviathan skin is in the same boat as the Raven. 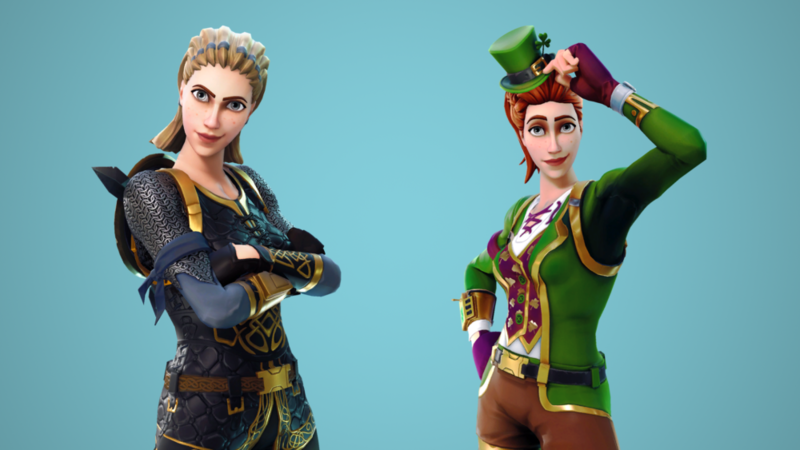 Both are shop exclusive skins that have only appeared twice with no word on if or when they will return and until we do, it’s one of the rarest Fortnite skins. The Reaper was an award for beating the Season 3 Battle Pass. This skin is no longer available to players to be earned or purchased. The Ghoul Trooper was also part of the Halloween event in Battle Royale, and is considered the rarest skin in the game currently. It appeared once and than never again, and only a small percentage of Battle Royale users own it. The Red Knight first appeared back in in late December 2017, and has only appeared one other time since then. It is a season 2 themed skin, and is likely to not make anymore appearances. Meanwhile, this skin just appeared for the first time in May 2018, but if it is anything like the Raven or Leviathan we will not see it for a long stretch of time. It could be months before this skin resurfaces if at all. The Renegade Raider skin is in the same situation as the Assault Aerial Trooper. Both were Season 1 skins, therefore making them highly sought after. There is no current way to obtain these and thus they are among the rarest Fortnite skins. Don’t let this blue rarity skin fool you. Aerial Assault Trooper was a season 1 skin that was around long before the game gained the traction is has today. Only those early players had a chance at this skin. The Merry Marauder skin was available in the Item Shop back in December of 2017 for 1,500 V-Bucks. It made one return in February 2018 but has not been around since. 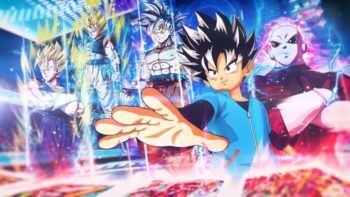 It may return for the next holiday season, but there is no confirmation on that. Until then, it is among the rarest Fortnite skins because of this. The Recon Expert was available in the Item Shop in November of 2017 for 1,200 V-Bucks and has not reappeared since. The game was still climbing in popularity at that time. It didn’t have a player base close to what it has now. This skin is a true showing of players who have been around since the early days and is one of the rarest Fortnite skins. The Yuletide Ranger is another Christmas skin that has not seen a release since December of 2017. This uncommon Skin was purchasable from the Item Shop for 800 V-bucks. If you see it pop back up it is worth grabbing, because who knows if it will ever return. The blue team leader skin is not rare because it disappeared from the shop at any point, but rather because it’s not available to everyone in the first place. 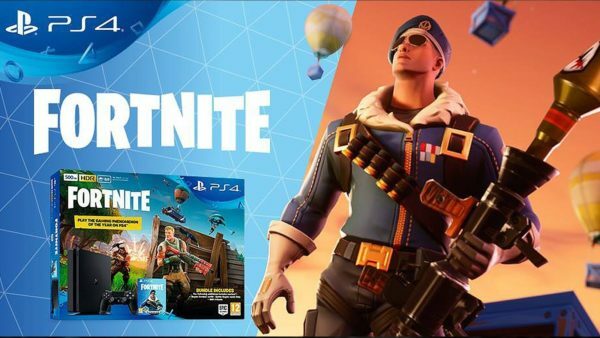 It is given to Fortnite players who are subscribed to PlayStation Plus and linked their account to the game. You have to head to the PlayStation Store itself and download it from there, alongside the matching glider. It’s not expensive, but it’s limited to a certain group of players. The Omega skin set was the rarest Fortnite skin available from Season 4. It is now no longer available in the game at all. Good luck getting it! The Love Ranger was added to the game as part of the Valentine’s Day event, before being removed. You’ll likely sees the wings more than the full skin now, but it has been known to return to the store for short periods of time. The Raider’s Revenge Pickaxe appeared in Season 1, but it wasn’t simply a case of buying it or unlocking it. You had to be level 35, at which point you could head to the Store to purchase it. As a high level and expensive skin, that only appeared once in the game’s early days, it’s pretty rare. The Aerial Assault One glider was another item that came to Fortnite in Season 1. It’s not rare due to any price and requirement, but more due to it being quite a dull design that didn’t excite many people. If it’s seen now, though, you know the player is experienced. 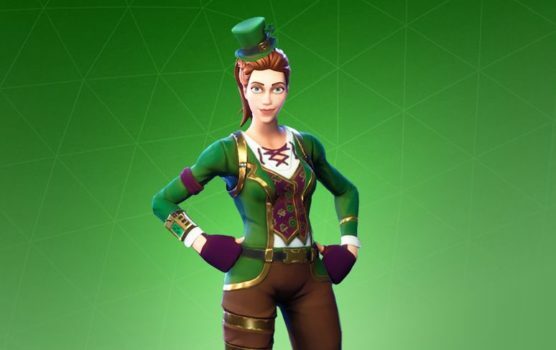 Released in the store for just three days around St. Patrick’s Day, the skin turns your pickaxe into a four leaf clover and coins fall from it as you run around. If you see it appear again, be sure grab it, since these seasonal additions are always really rare in the game. It wouldn’t be a surprise if it returns for next year’s celebration. The Rainbow Smash pickaxe has a unique feature that separates it from most of the other pickaxes available. It’s a unicorn, and its horn will glow brighter and brighter as you take our more people in the match. It was originally released for just one day, but has since returned once more. Maybe it’ll be available once again in the near future. But, for now, like the unicorn, this weapon is one of the rarest Fortnite skins. The Galaxy Skin is another skin that’s tied into a purchase away from Fortnite itself. If you purchase a Samsung Galaxy Note 9 or Galaxy Tab S4, you’re given the ability to unlock this exclusive skin in-game. In a roundabout way, it’s the most expensive Fortnite skin, asking you to commit the price of the phone to get it. The Tier 100 Season 6 skin is called Dire. Since it’s a Tier 100 skin, it’s pretty rare, and there are six variants to unlock. To unlock the last and rarest Fortnite skins out of all of them, you’ll need 250,000 XP. You’re no longer required to get all the XP by the end of Season 6, so Dire might get less and less rare over time, but it’s certainly rare no long after it was released. One of the coolest looking skins, Chomp. Jr is a huge shark that squirms as you fly. Originally released at the beginning of 2018, for a cool 1500 V-Bucks, it makes sense that such a cool looking item would be rare. There you have it, those were some of the best Fortnite skins. That is to say, those were the rarest Fortnite skins you could have gotten but unfortunately might have a really hard time getting now. If you have any of them, I’d hold onto them because you have yourself something special. We’re going to be updating this post frequently so be sure to check back to find out how your collection stacks up. The Sparkle Specialist was a Season 2 Battle Pass exclusive skin. It is part of the Fortnite Fever set and has never been seen again making it a rarity for anyone who joined the fight after Season 2.